my bootcamp workout in PITTSBURGH! coming in from some amazing companies! Anyone else consider themselves a picture hoarder? along with my screenshots of inspiration for meals and workouts. I STILL keep it in my iPhone! wasn’t blinking after 30 minutes of talking. I thought we had just had an interview for the heck of it, ha. But then I realized it got everything but the last 1 minute of our talk! So we had to re-film it 3 times as I deleted pictures to make space. An iPhone picture hoarding problem. Time to clean out the iPhone! that sometimes I get so backed up with that I forget to post them! 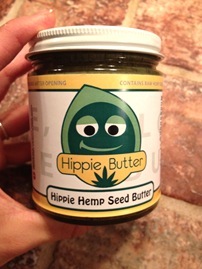 here is a new product that I got to try thanks to @HippieButter ! 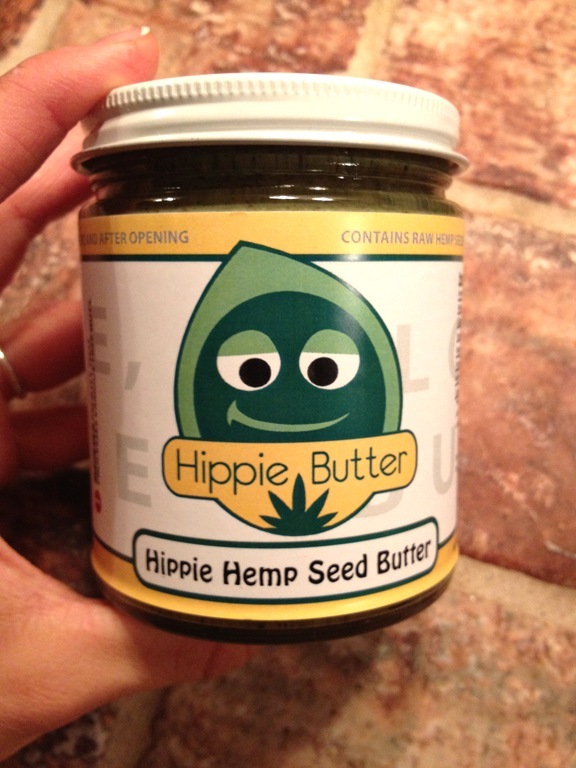 It’s hemp seed butter & how adorable is that package? Hemp seed extract has an unidentified compound in it that may help to promote learning, memory and immune function. It may stimulate the brain enzyme known as calcineurin, according to the University of Michigan. according to the University of Michigan. according to the National Institutes of Health. Hemp seeds are rich in essential fatty acids. advises the University of Michigan. Omega-3 fatty acids reduce inflammation in your body. These fatty acids also are important for your brain performance and memory. GLA also may be an inflammation fighter, according to UMMC. In fact, GLA might reduce your nerve pain symptoms if you are diabetic. especially when they are turned into butter! My girl Jill Hanner totally inspired me to try this! 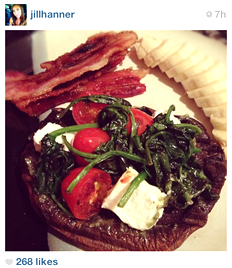 Portabella mushroom topped with hippie butter, veggies and goat cheese! cook like you would an omelet! medium heat for me with some coconut oil. Then I let mine cool in the fridge so it firmed up! hippie butter, & chia seeds! So, as you can see, Instagram is a great way to get inspired! 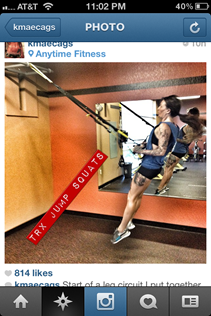 Looking for a good workout move to add into your routine? 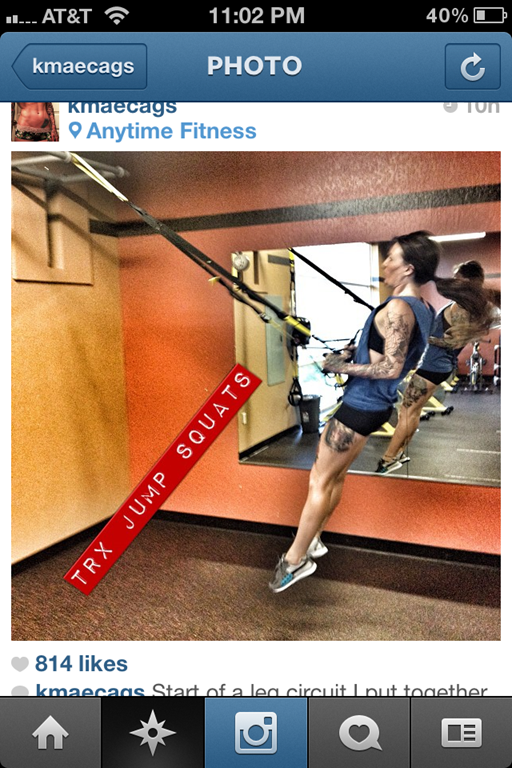 Try these TRX Jump Squats via my girl Krissy Mae! Great way to get your heart rate up!! while coming back down into another squat! Try to do at least 10! I did a set of 15 for a super-set with my other leg exercises! Are you a picture hoarder like me? Have you ever tried hemp seeds? What’s your favorite way to use them? 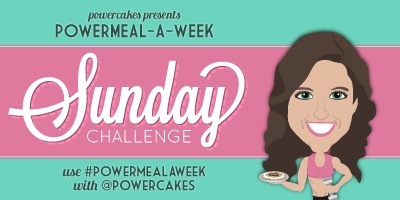 don’t forget to link up your recipe to share with others! I’m glad I’m not the only one that is constantly deleting pics, so that I can add more!! I have never tried hemp seeds, but I do want to. 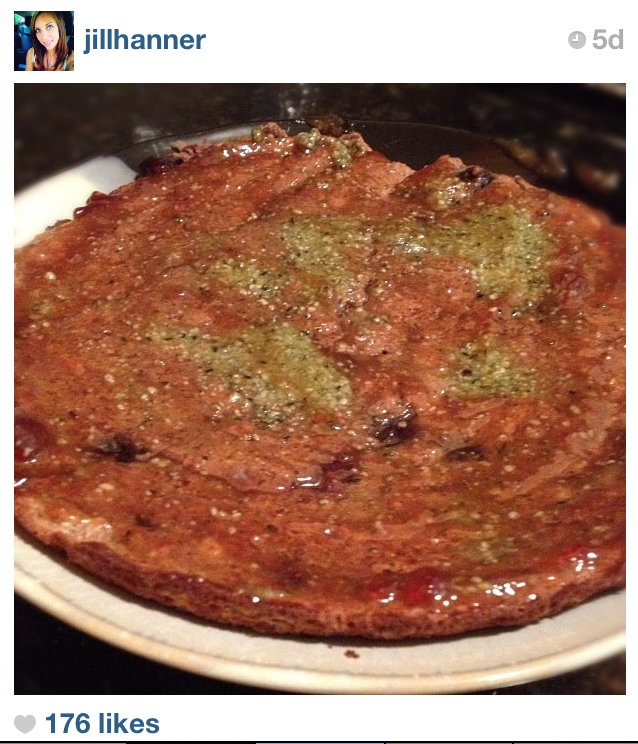 I tried something similiar to your pumpkin omelet this morning. I’m working on sweetening it up a bit, though. I’m trying not to use stevia, since I’m starting the Paleo diet. 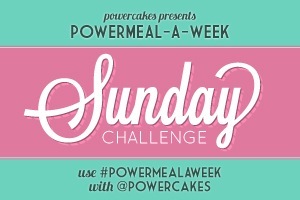 Thanks for hosting Powermeal again!! 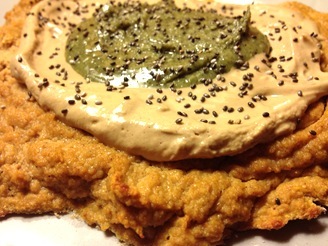 Love the idea of mixing Hippie Butter Hemp Seed Protein Powder with Coconut Milk to make a healthy frosting. Thanks for the great idea PowerCakes! Love this recipe Kasey! I love anything that has to do with pumpkin come September so I can’t wait to try it out! Oh no! Photo fail! I don’t usually save pics to my phone…every time I plug it up to the computer, I clean them off…but the computer is a whole other story! I seriously need to make better use of my external harddrive! Haha! I’ve never tried hemp seeds before, but I JUST picked some up at Whole Foods last weekend! I’m thinking about trying them on yogurt first and then going from there! I am a total picture hoarder! 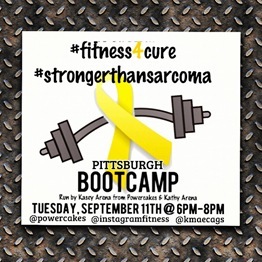 Plus most of my pics are for blog purposes so they really make no sense out of context…or you would think I’m a total crazy food lady by looking at my pix since they are 90% food pics…or workout pics…either way you’d think I’m nuts! But good nuts, right? Love your blog…excited to follow you! bring on the pumpkin- i am all about it now! 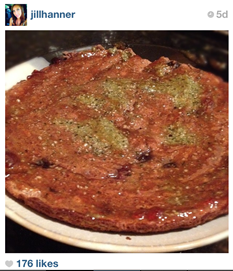 i need breakfasts to take with me to work so i might start doing a sweet omelette the night before … dunno!